Once again, photographer Jeannette Montgomery Barron has created a book that is captivating in imagery as well as in poetic reverie. That thing that constantly throws back the glance it has just captured is, here, the subject as well: the mirror--both literally and metaphorically. The 44 peaceful pictures in this book tell the tale of the mirror that takes its stand in front of the camera solemnly and with composure. Its silvery shimmer, already clouded over, symbolizes beauty. Its blind spots snub our idea of perfection. When it turns its back on us, it is hidden from view. And when, half-blind, it gazes into the sky, the yearning we feel is unappeasable. Unavoidably, we make our associations with people, characters who are latently present but never truly visible. Each mirror discloses yet another facet, becoming ever a new and in-depth portrait. 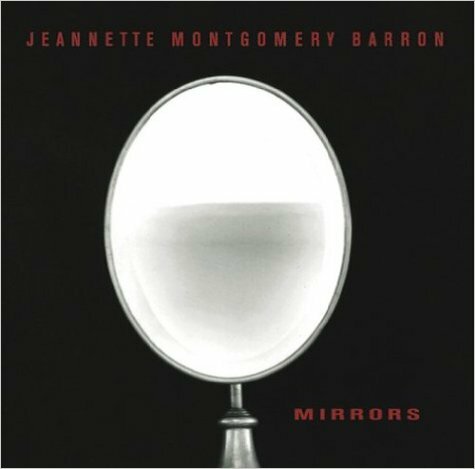 With this book, Jeannette Montgomery Barron, whose pictures of artists including Andy Warhol, Dennis Hopper, Richard Ford, and William Burroughs have garnered great attention, evinces a psychological sensitivity that reveals her as a genuinely great portraitist. Edmund White, biographer of Jean Genet, falls under the spell of shadow and innuendo, and, in his accompanying text, draws circles around projections, perceptions, and art itself.